Ok, get ready for a long post, guys! 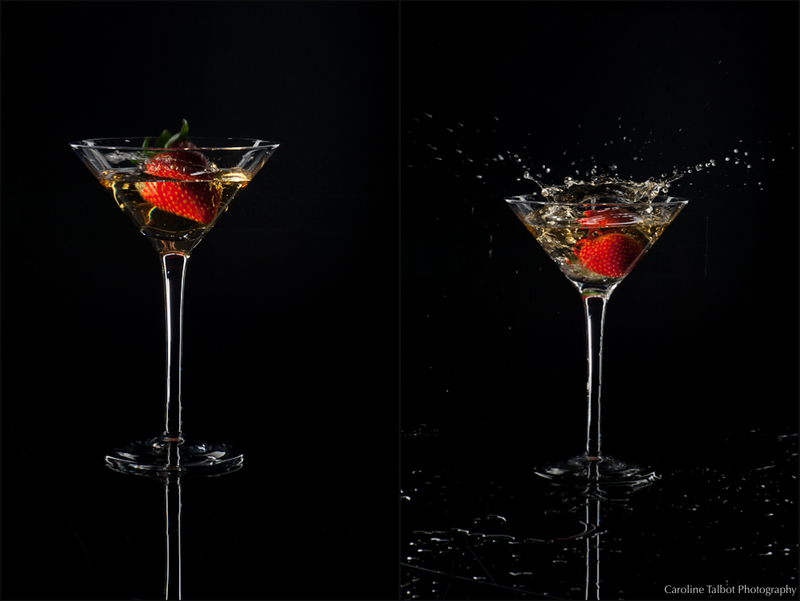 I’m apologizing for the wordiness now – but I thought it would be fun to talk about the though process behind each image and how we got from start to finish! My class is just wrapping up our first product/still life lighting class at CDIA, with our wonderful instructor, Sharon White. 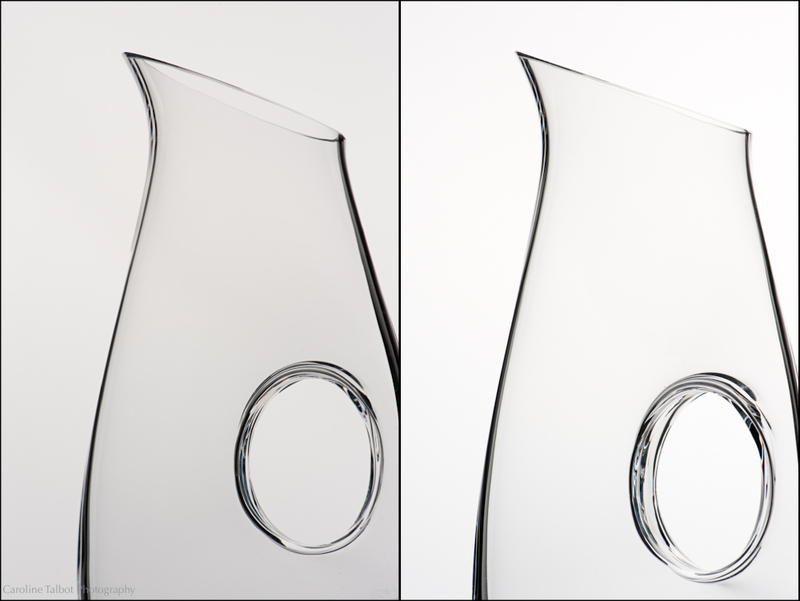 She is the nicest person, and has 20 years of product photography under her belt. I’m going to be honest, I am really surprised at how much I am enjoying this class! 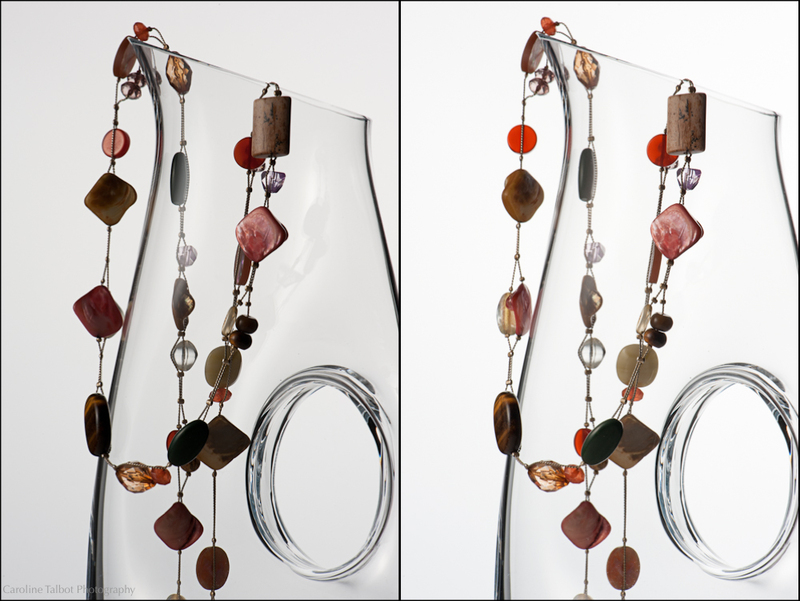 We’re learning how to use studio lights to completely control our images and to highlight the properties of our subject. Our main focuses in this class were lighting for texture, metal, and glass. We started off with texture, which I found to be the easiest of the three. Most subjects I shoot have some sort of texture to them – so figuring out how to control the light to show off that texture made sense to me. I brought in a cowboy hat that I bought a few years ago. I really wish I had more excuses to wear it; I think it’s so fun! Sharon explained we should focus on one light at a time, and using only that light at first, so we could see exactly what that light was doing. 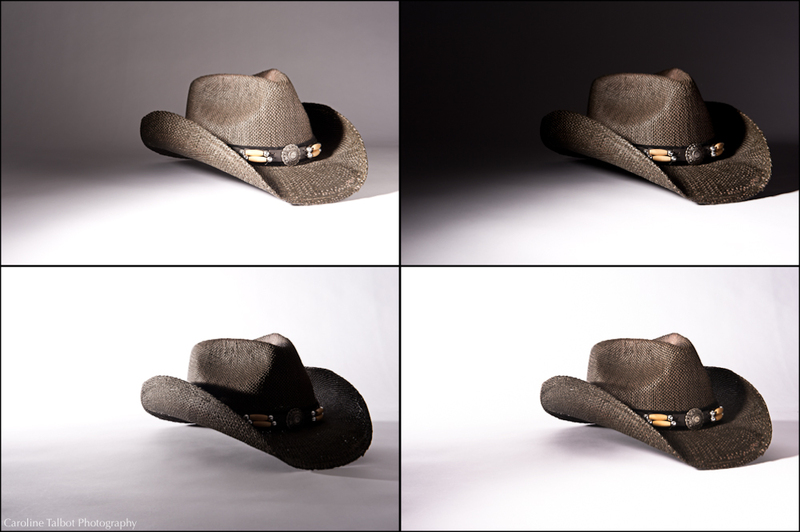 We started by slamming my hat with light on the side, then moving that a little more forward to it would light the front of the hat a little more, and not touch our background at all. Then we used a second light to get the background lit, and to splash a little light from the back. Finally, we turned on both lights, and voila! A very textured cowboy hat, where you can see all those nooks and crannies! 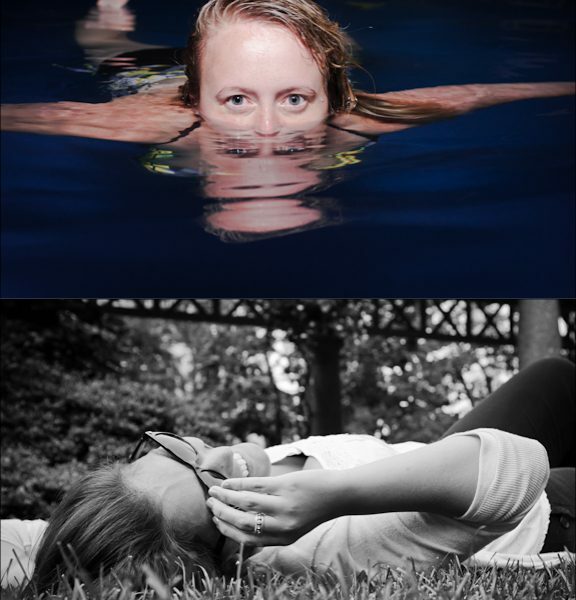 From here on out, all these images were a team effort between me and my teammate, Rebecca Bumstead. 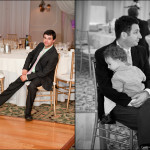 We definitely both had a hand in making these images come together! 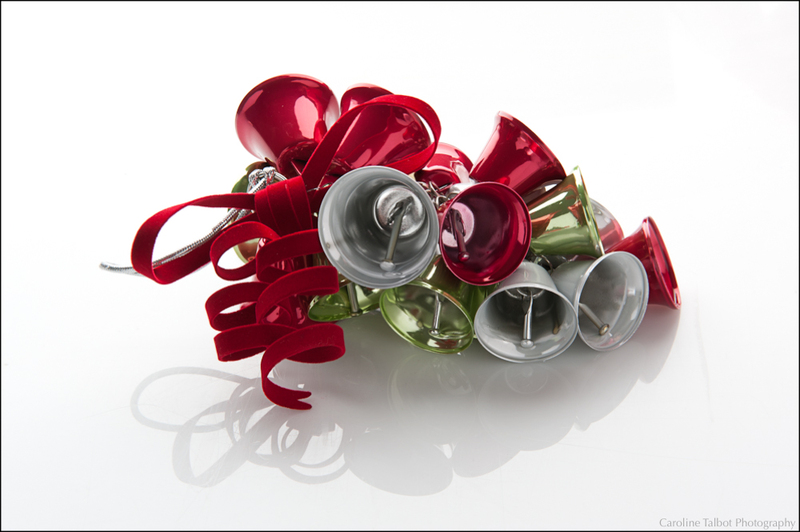 The next class, we were on to metal – this was probably the most counter-intuitive for me to get, since the whole shoot is about managing reflections. There was a lot of hand waving around the lights, and asking “what is that?!? !” Once my partner Rebecca and I got the hang of it, we started to get a good flow and could start focusing on details. We took this one a step at a time, to make sure we got it right! We started with the light directly behind the jingle bells that I brought in. 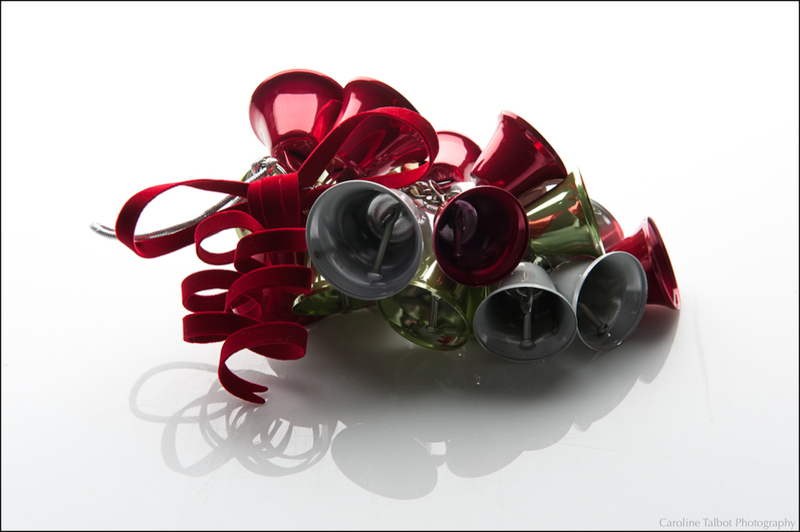 Not too shabby, but those bells in the back were looking pretty flat, especially the one that is dead center. 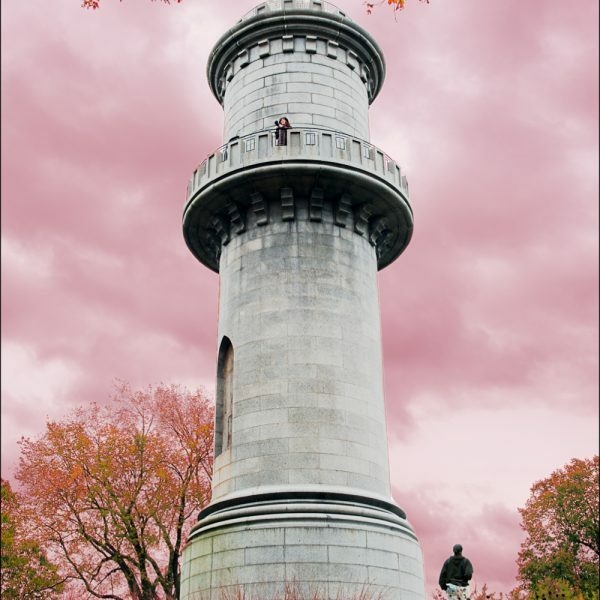 We decided to card it off, to get a little bit of the color back, and shift the red bell on the top left around a little, so there was less of a reflection there. Ok, much better, right? 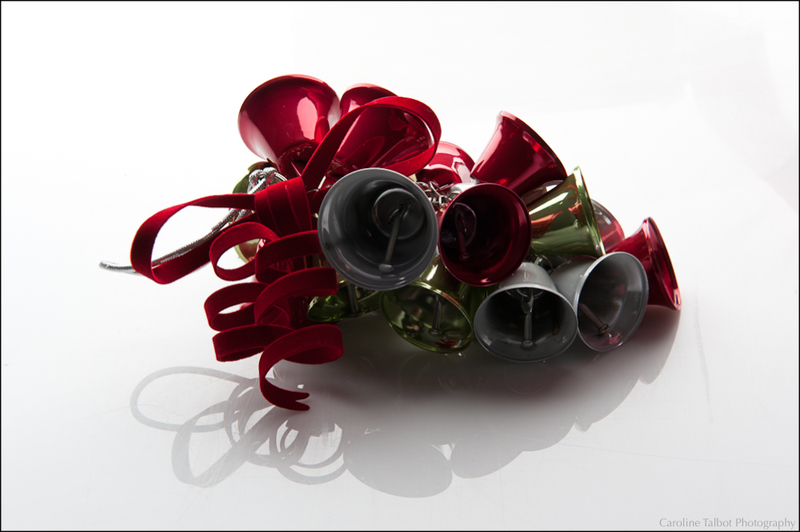 But all the bells in the front are so dark! Ok, then take a fancy reflector (aka aluminum foil taped to a white card), and throw some of that light right back at them! Now we’re getting somewhere! That silver string to the left looked sort of weird to us, so maybe move it around? Nah, just get rid of it…done! 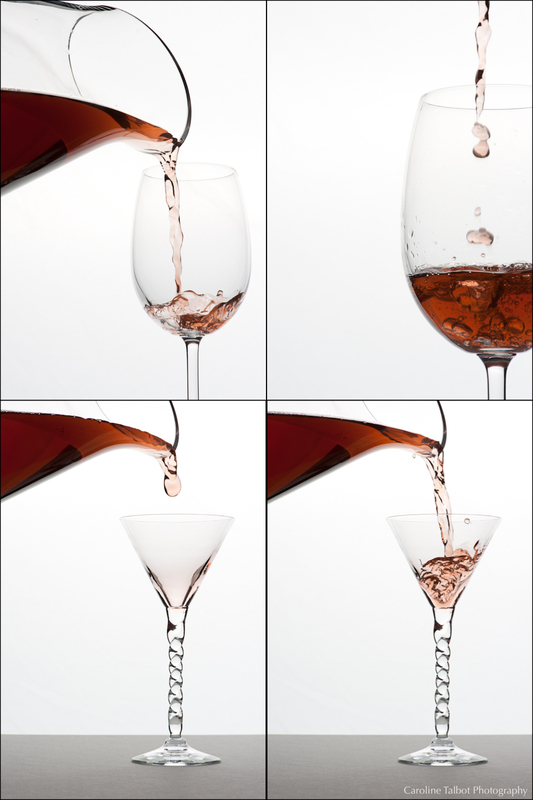 After that, we moved on to my favorite – glass! 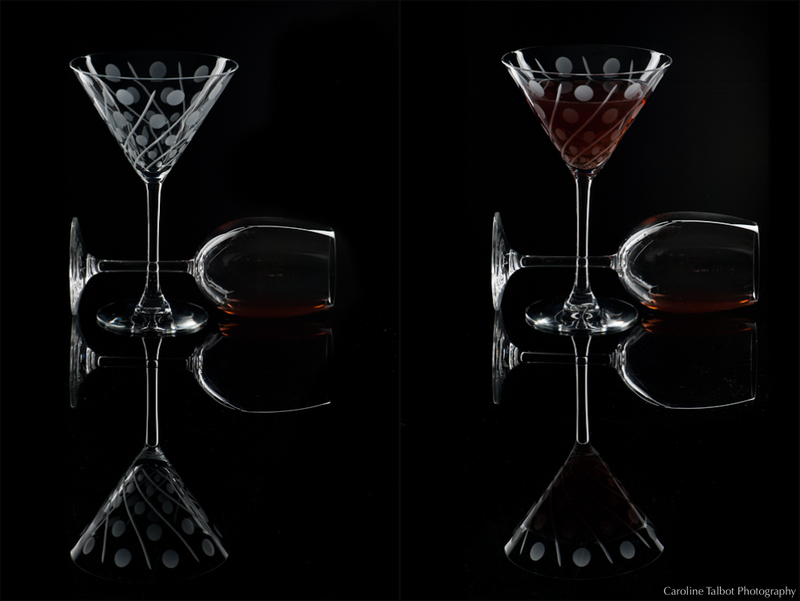 This one was a lot of fun – getting that perfect rim of light or shadow around the edge of the glass, and letting the rest go completely clear. We started with white. 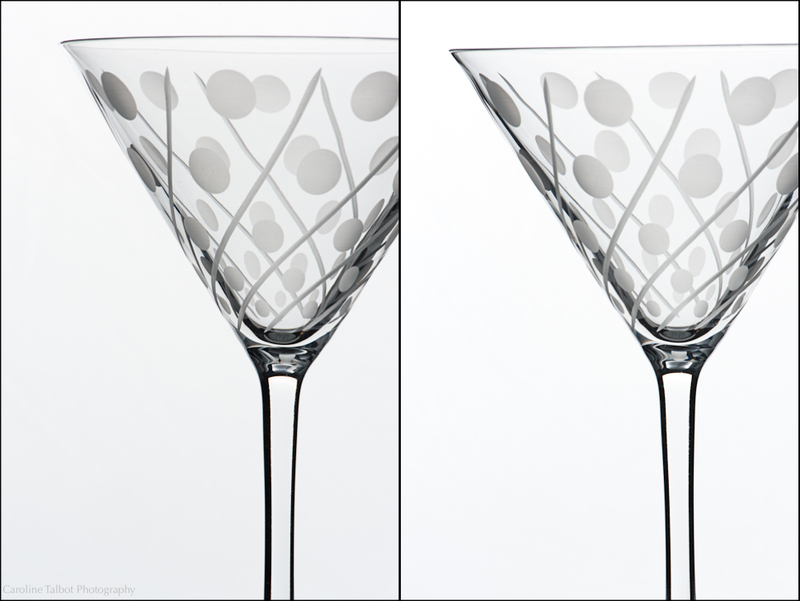 This time I brought in an etched martini glass – I forgot I even had it! The key here is again to put the light directly behind the glass, but have everywhere else completely in shadow, so the light ends up being juuuuust as big as what your camera can see. 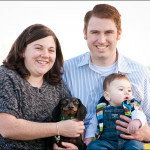 Here’s what we got in our first couple shots – we really underestimated how much light we needed! Ok cool, it’s a glass. How about we get a better crop, so it looks a little more interesting? Notice on the left picture how different the black lines on the stem are. It’s so important to get those black cards even! 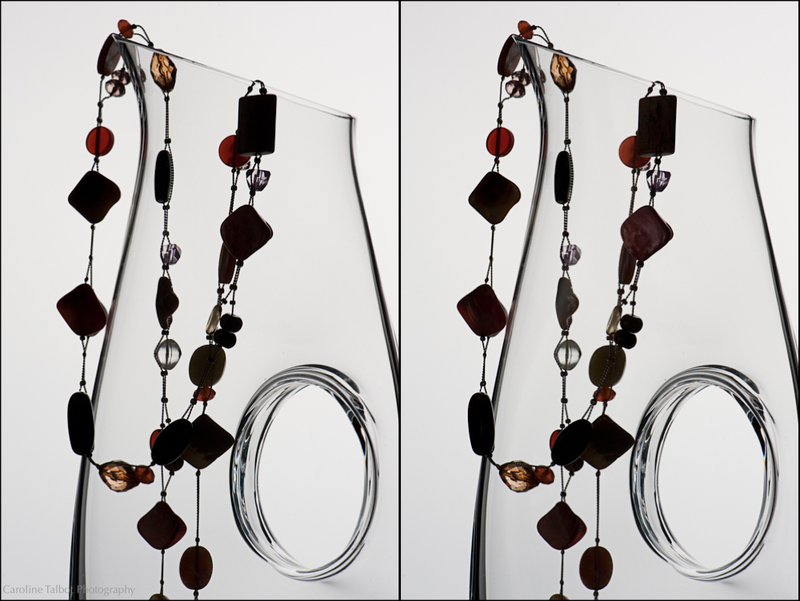 I also brought in a pitcher to shoot – I love the shapes and curves of it: The shot was a little boring for me, so we added my necklace. 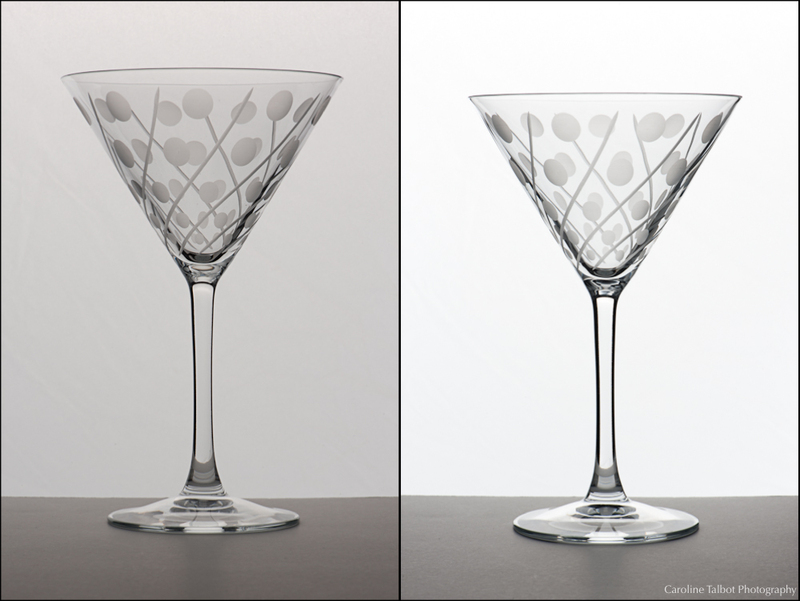 We tried our reflector trick from before and tried throwing some light back. Hmm. Still to dark! Ok, time to pull out another light! I really like how once you get the light bright enough, the colors of the necklace just pop, and you know you’ve got it! 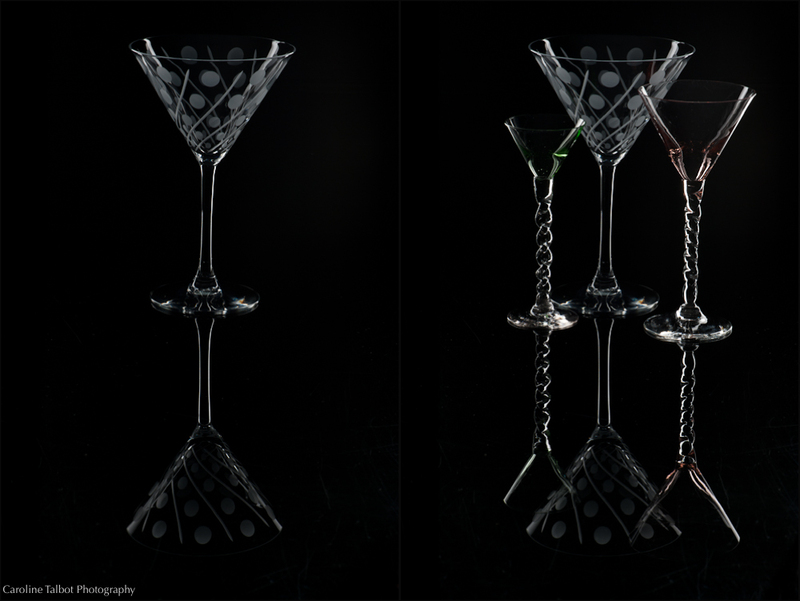 It was time to bring out some drama, and shoot glass on a black backdrop. This was the exact opposite of the white setup – big huge white light, with a little black backdrop that just got to the edges of the frame. 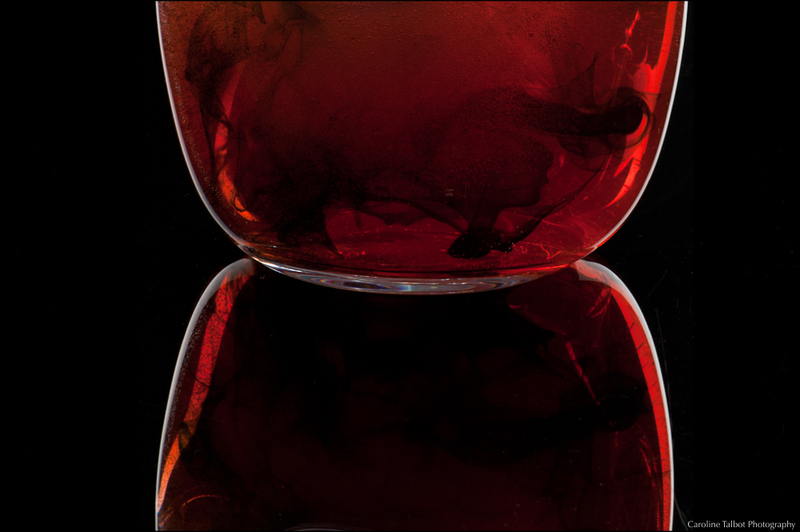 We used black plexiglass to get a cool reflection below the glass. Rebecca and I joined forces, and used both of our glasses we brought in for some nifty arrangements… It was time to fill up some of those glasses – that’s what they’re for after all, right? Enter mystery concoction for making a rose wine when you don’t have wine with you… Once we had our mixture complete, we added it to our shot: The color wasn’t really showing up as much as we would have liked, so back to white we went – and started shooting the actual pour itself. This is where it started to get a little more exciting! 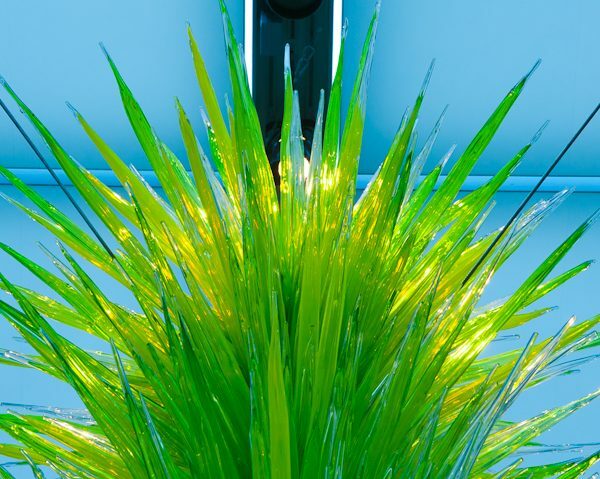 Now before we get to the real exciting class, lets take it down a notch, and mix glass and texture together. 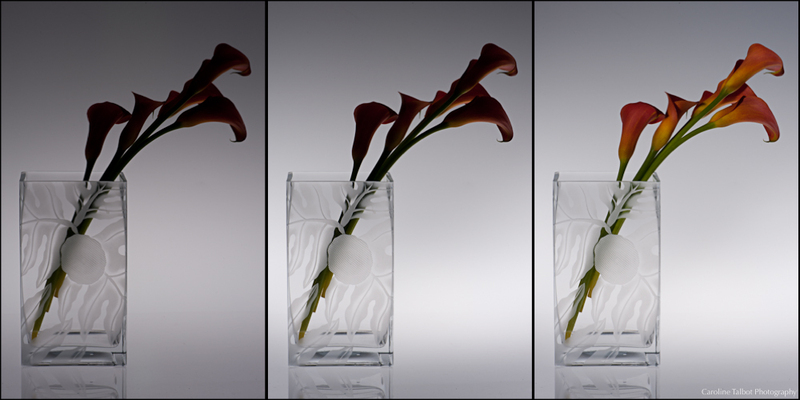 I picked up some calla lilies on my way to class, and brought in a vase that my cousins in Hawaii sent as a wedding gift – I seriously love this vase. I wanted to get a really elegant and soft lighting on this. We started with our back lit setup, and did a pretty good job of getting a balance between lighting the glass, and putting a splash (or gallon) of light on the flowers. That horizon line was bugging me, big time. Sharon to the rescue! She helped us set up a pretty risky setup where the light is actually underneath a big piece of white plexiglass – this is EXACTLY what I was looking for! 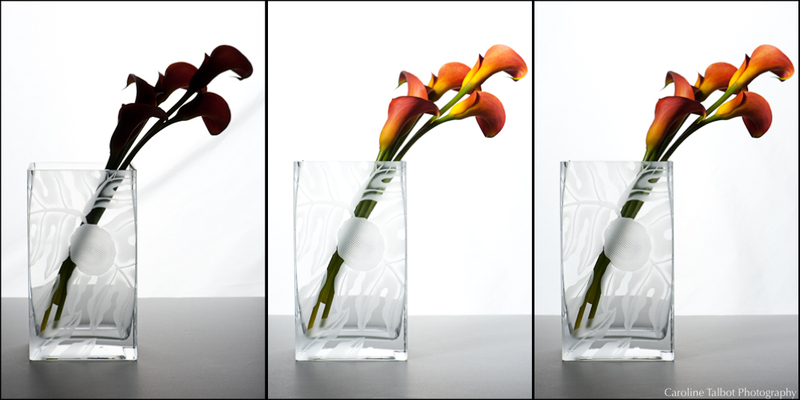 We got the exposure just right on the vase, then this time gently added some light onto the callas – perfect! Ok, time to wake up – it’s splash night! 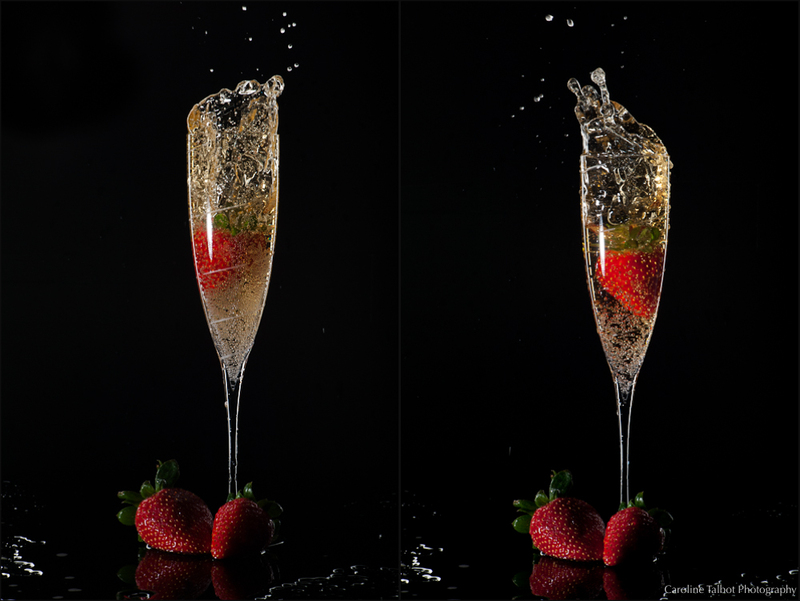 Rebecca and I decided we wanted to get a really cool shot of something splashing into a glass. Really show a frozen moment. I brought in some sparkling cider and some strawberries and we got our lights set up. We have this rim lighting down now – so should be easy, right? 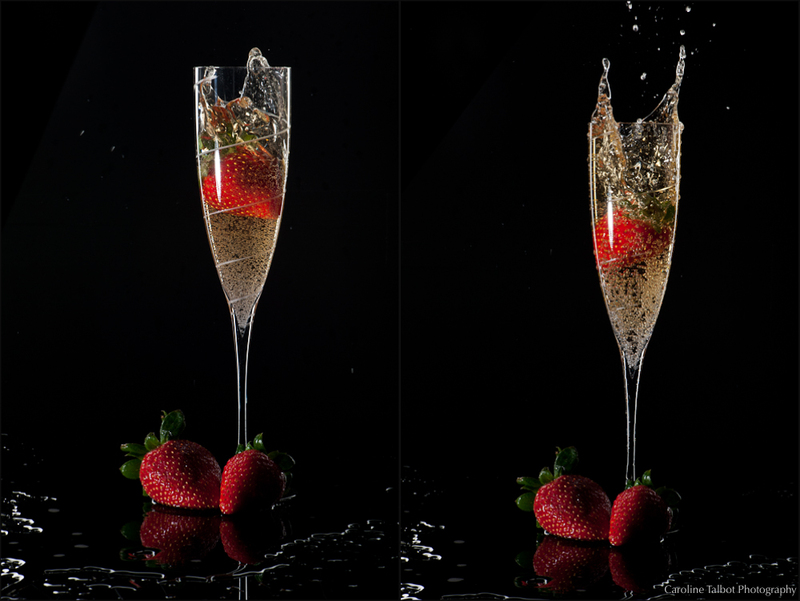 Put the strawberry in the glass to get the lighting for that right, and drop it in! Our stand in instructor this night (Sharon had to be out for a night) told us not to get discouraged if we couldn’t get a good shot – the timing is so fast that you’re usually a split second to early or late… Ok, lets work on timing… SO close… and got it! We started to really sync up our timing – and had it down. 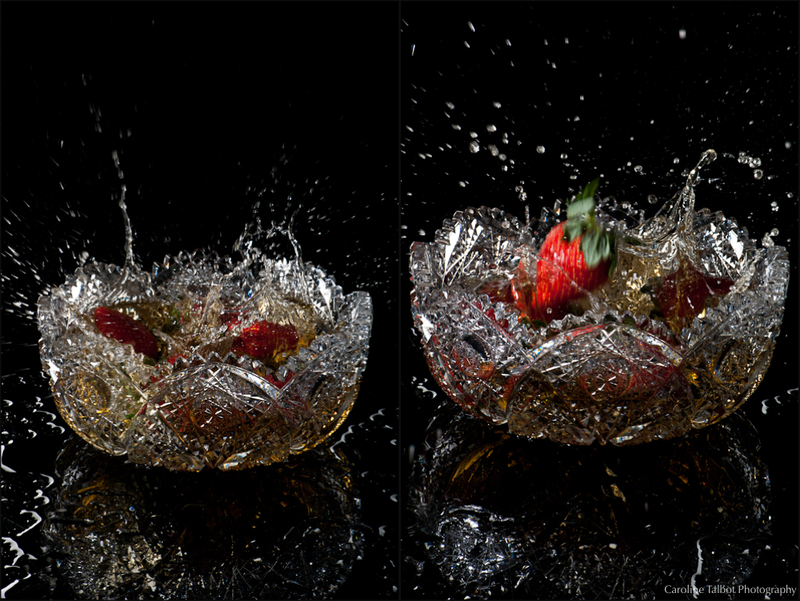 So time to add a few accent strawberries, check lighting one more time, and keep going! 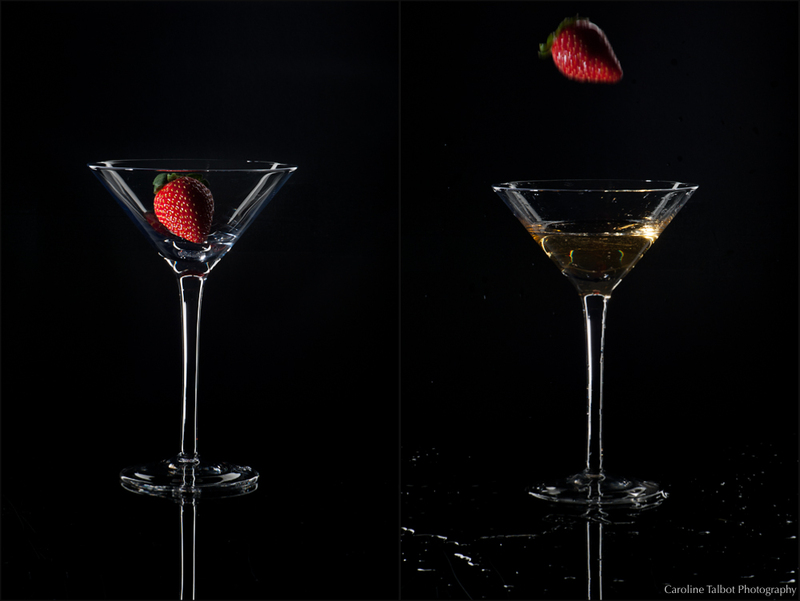 We figured out how to drop the strawberry so you could see the stem and the shape, so we started to get a bunch of shots we really liked. 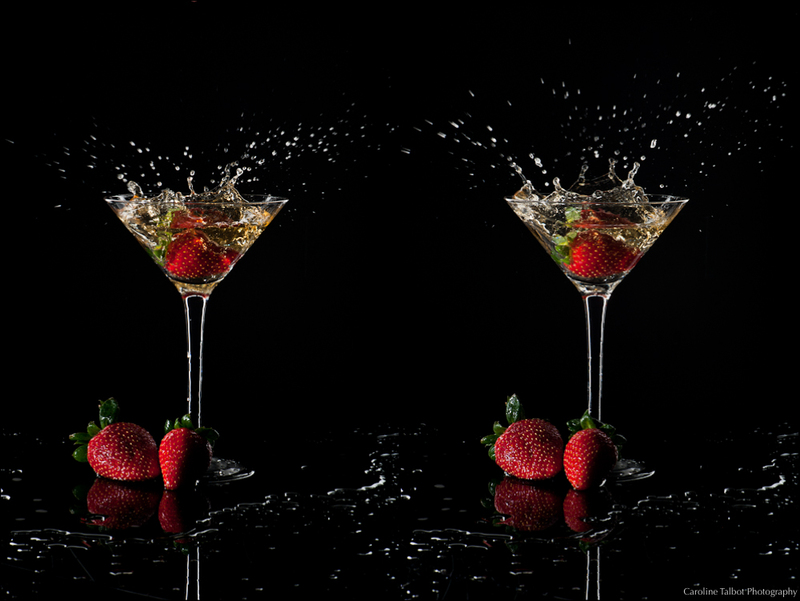 It was a complete explosion of sparkling cider – and it smelled SO good, to boot! 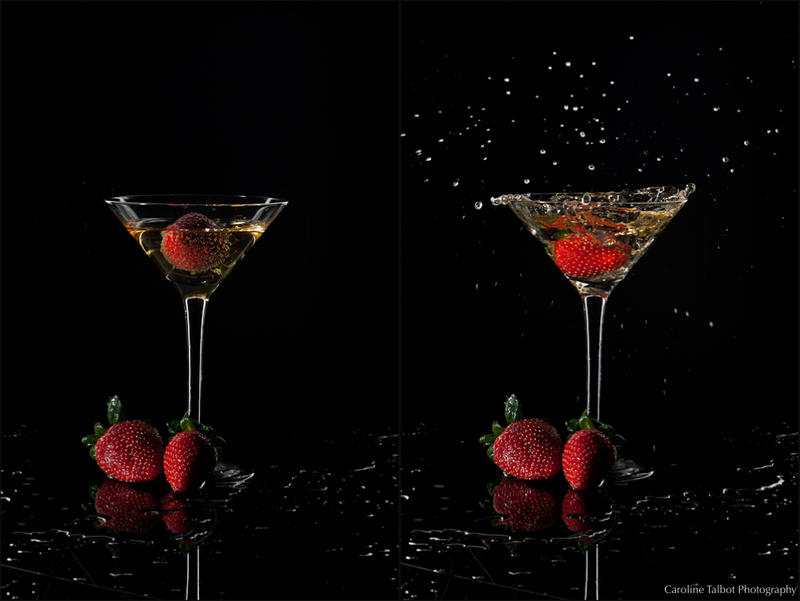 These next two are my favorite from the whole day: We wanted to see what a champagne flute would do, now that we had our timing and aim down – a totally different look, but just as fun: We pulled out all the stops now – Rebecca brought in a really fun bowl, and we filled it up, and dropped a a bunch of strawberries in at once – what a mess to clean up, but totally worth it for the shot! 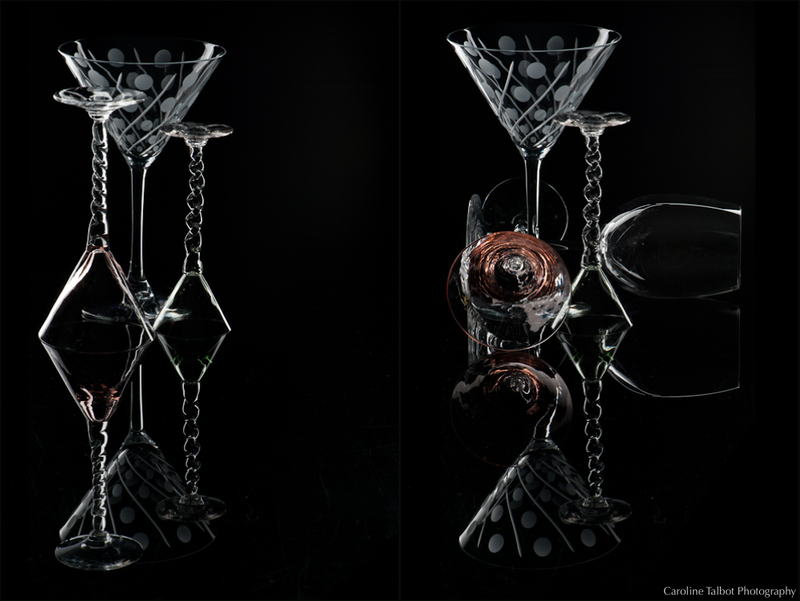 Who knew “still” life could be so fun? Thanks for hanging in there – this was a quite a post – hope you enjoyed it as much as I did shooting it!